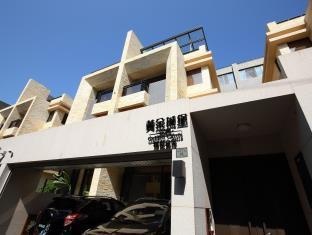 The 2.5-star Golden Castle B&amp;B offers comfort and convenience whether you're on business or holiday in Hualien. Featuring a complete list of amenities, guests will find their stay at the property a comfortable one. Service-minded staff will welcome and guide you at the Golden Castle B&amp;B. All rooms are designed and decorated to make guests feel right at home, and some rooms come with television LCD/plasma screen, internet access – wireless, internet access – wireless (complimentary), non smoking rooms, air conditioning. The hotel offers various recreational opportunities. For reliable service and professional staff, Golden Castle B&amp;B caters to your needs. Friendly owners. Nice services provided.